As economic headwinds begin to slow down, Hyundai is in its best position to take advantage of what is left of 2018. That was the fearless forecast made by Ma Fe Perez Agudo, President and CEO of Hyundai Asia Resources Inc, official distributor of Hyundai cars in the Philippines. “Backed by a strong Hyundai community in the country, we have proven time and again that our products and services remain relevant in the country’s automotive industry,” says Perez-Agudo. The official distributor continues its strong showing by registering a 3.5% year-on-year increase for the month of November 2018; the second consecutive month of year-on-year growth. Unit sales rose to 3,426 units from the recorded 3,309 units sold in November 2017. This puts the year-to-date total at 32,444 units sold from January – November 2018, closing the gap with only a 4.6% decrease from the same period of the previous year. Passenger Cars (PC) maintain its position as the brand’s volume driver by accounting for 56.7% of the total unit sales. The segment declined by 20.6% to 18,389 units for the period of January-November 2018 compared to the 23,167 units sold in the same period of 2017. Although with the recent announcement of the new Accent, the brand can expect its PC sales to pick up in 2019. Light Commercial Vehicles (LCV), on the other hand, rose to be the front-runner of the brand’s growth. 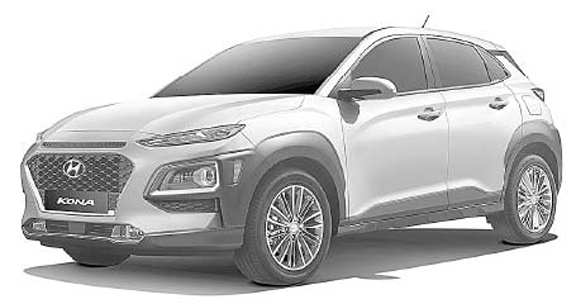 The successful introduction of the Kona in the subcompact SUV segment, coupled with the significant increase in the sales of the H-100 due to the rise in construction activity from the administration’s ‘Build, Build, Build’ program, easily offset any negative effects that were experienced in the automotive industry for the year. This has led to the segment selling a total of 14,055 units from January – November 2018, a 29.4% increase from the 10,858 units sold in 2017. Philippine inflation has shown its first sight of easing after its 8-month climb as November inflation fell to 6.0%. The sudden decline in global oil prices and the slowdown of food prices played a significant role in the inflation results. It is expected that inflationary pressures would moderate in the following year, backed by strong investments, and spending related to the midterm elections would be enough to weather any external headwinds that would be experienced in the global economy in 2019. Hyundai’s performance the past few months is a testament to how the brand is able to capitalize on the slowdown of economic headwinds. Hyundai is in a strong position to take advantage of the last month of the year and finish 2018 on a high note.